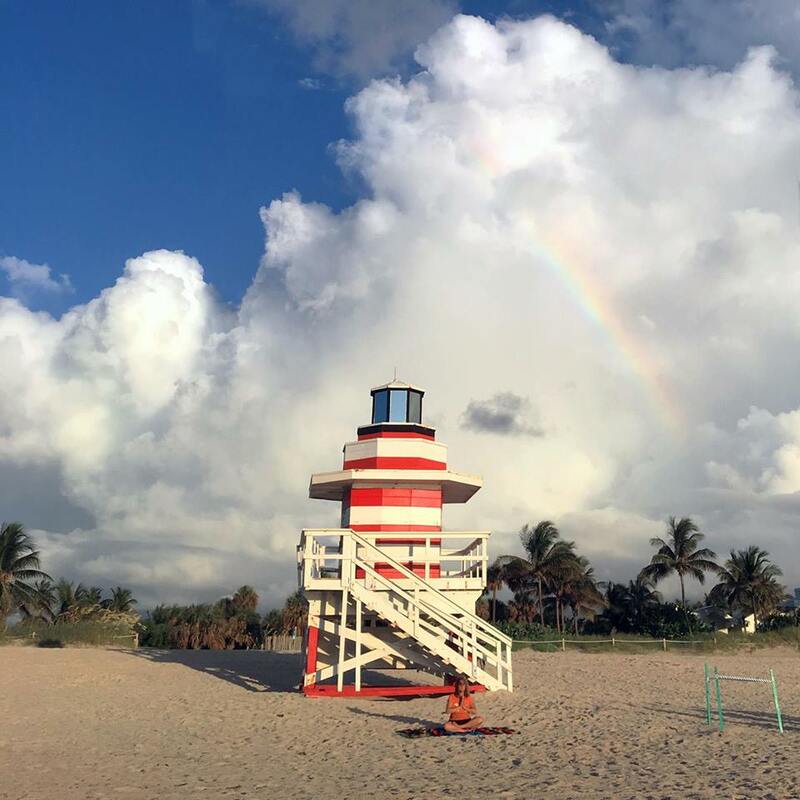 As a Miami Beach local for more than twenty years, here are some of my favorite places to visit and explore so that you can truly feel like a Miami Beach local yourself! Take in South Beach’s iconic lifeguard stands, which are featured in numerous movies, TV shows, and fashion photo shoots. After strolling the beach and taking a swim, another great place the locals spend the day is at any of our scenic parks! The parks feature a variety of fun activities, such as swimming pools, tennis, basketball, racket, and handball courts. While you’re at it, join a soccer or baseball game! There is a wonderful kiddie pool (Flamingo Park) with all the bells and whistles, as well as splash zones (South Pointe Park). The kids will have hours of fun in the playgrounds, while your four-legged friends have their own bark parks too. 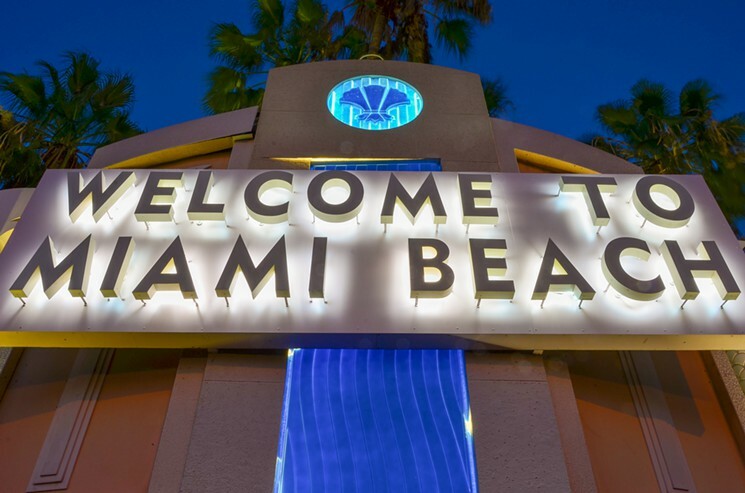 Stroll Lummus Park and enjoy the Neon and Art Deco buildings along Ocean Dr. Bike ride along Baywalk, begin at the Marina and end at the beaches. Don’t forget sea turtle season from May to September! The world famous Lincoln Rd mall has lots to offer and is by far the best spot for people watching. Shop, dine, take in a movie or see a play! Wynwood’s Art District is the place to be to see the best of Miami artists. Take a photo in front of one of the many fantastic murals or grab a bite at eat Coyo Taco or Wynwood 5th Av. You can also sample a variety of craft beers at the Box Elderor visit the food trucks at Wynwood Yards. The Perez Art Museum and Frost Science Museum have become world-renowned spots of culture and innovation, along with a stunning view of Biscayne Bay. Also make sure to visit the Bass Museum, housed in a beautiful historic Art Deco building. As you drive across the MacCarthur causeway, plan to make a detour at the Miami’s Childrens Museum and Jungle Island. Treat yourself to first class music at The New World Symphony. Bring a blanket and a picnic and relax under the stars at Soundscape Park’s Wall Cast; movies very first Wednesday of each month during our winter season. The Fillmore music is one of the most popular spots to find your favorite bands performing. When it’s time to relax pamper yourself with a pedicure, manicure or a massage, stop in at Spa E on Lincoln Rd. Voted best spa by the Miami Beach Chamber of Commerce! There are many ways to get around South Beach. My suggestion for easiest and most convenient travel is to try our Citbikes. There are numerous bike stations throughout the area and along the beach to rent a bike and be on your way. It’s inexpensive and great exercise! A bit of a hidden gem, the Miami Beach Trolley is a great way to grocery shop at Publix and the 5th St shoppes. The trolley loops with local stops along the west side of Miami Beach and Lincoln Rd, and it’s absolutely free! Another option is shooting a text over to Swoop, the oversized golf carts that “swoop” you to your next destination. Uber, Lyft and our cabs are all 24 hrs. If a car is your preferred method of travel, South beach has many public parking garages. 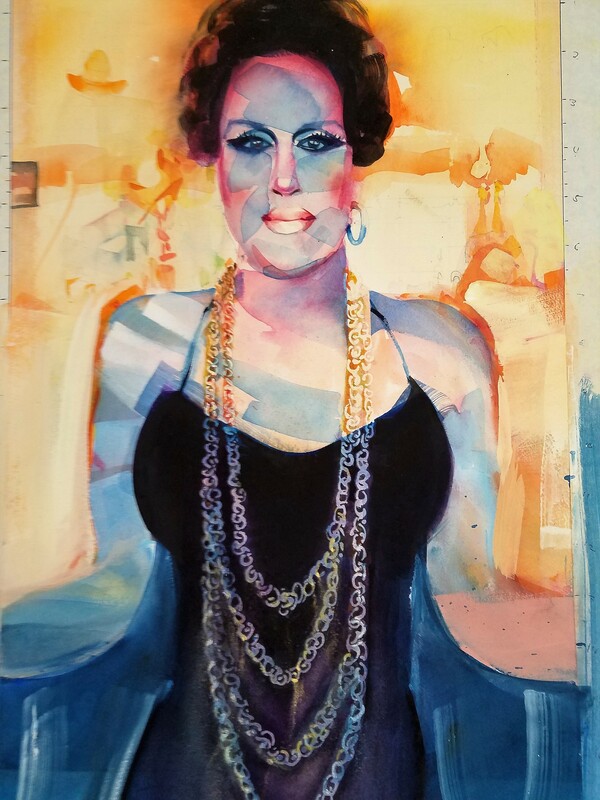 A longtime Newport artist, William Heydt is known for his amazing watercolors of Newport’s local characters. And now Heydt is gracing the shores of South Beach! Here is Heydt’s “Ladies of the Palace”. Can’t wait to see who shows up next on his canvas.